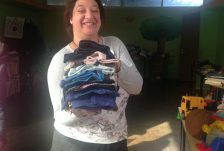 Chessed means kindness; helping out whenever and wherever help is needed most. 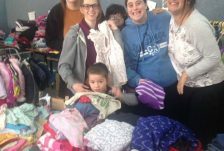 With the recent spate of fires in Israel there has been so much damage – thousands of people have been affected. 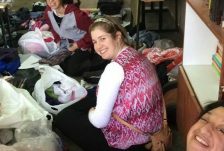 When Midreshet Lindenbaum alumna Ilana Fodiman Silverman of Kehilat Moed in Zichron Yaakov started receiving much-needed donations, she knew she could ask students from the Elaine and Norm Midreshet Darkaynu program to help with the sorting. 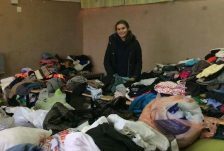 It is very unfortunate that this need is there but we are glad that our Darkaynu students were able to help. 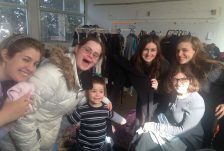 Kol HaKavod to our staff and students for their assistance with the clothing, toys, and appliances!